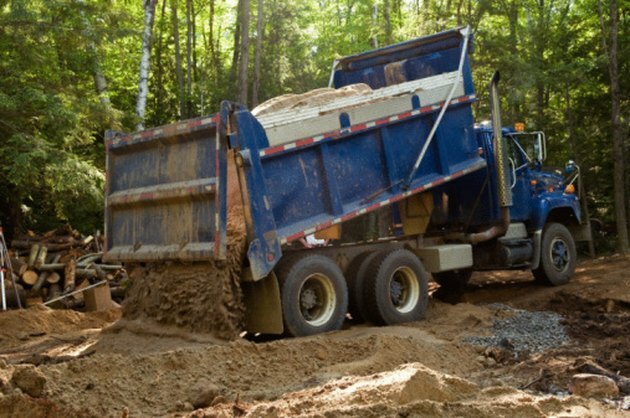 Newly completed housing developments often lack ideal topsoil for the planting of turf lawns or trees, so loads of topsoil are purchased and trucked in. Topsoil arrives in units described as yards but more accurately called cubic yards, as each unit comprises a soil volume 3 feet tall by 3 feet wide and 3 feet deep. 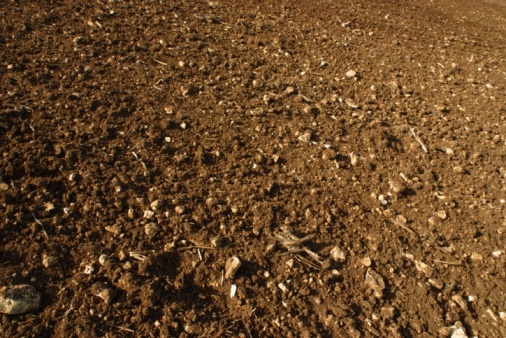 The depth of the topsoil spread across an area depends on your needs. 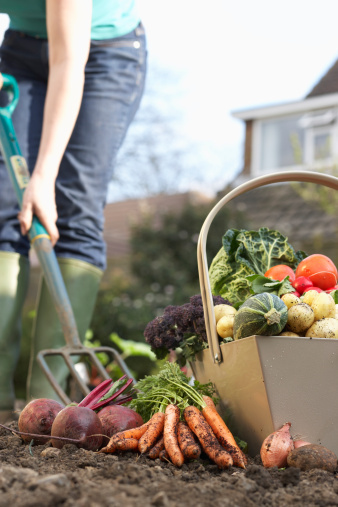 If you want the topsoil to be 3 feet deep, one cubic yard only covers a 9 square foot area. Spreading the cubic yard of soil to shallower depths covers a larger area. Soil is sold by volume in cubic yards. Measure the length and width of the area in which you wish to lay a volume of topsoil. Use a yardstick or retractable tape measure and jot down the dimensions with pencil and paper. Multiply the length by the width to find the area. For example, a property measuring 10 feet by 100 feet yields an area of 1,000 square feet. Convert that square foot area into square yards. Divide the square footage by 9. Continuing the example, 1,000 square feet equals 111.1 square yards. Determine in inches what soil depth you want on your property. Divide that number by 36, the length of one yard in inches. For example, if you want the soil depth to be 18 inches, divide 18 into 36 to get the result 0.5. Or, if you want the soil to only be 2 inches deep, divide 2 into 36, which yields the quotient .056. Multiply the quotient by the square yardage on your property you want topsoil spread over. Using previous numbers, multiply .5 by 111.1 to get the product 55.5 -- the number of cubic yards needed to cover an area 111.1 square yards with 18 inches of topsoil. Or, in the second example, multiple .056 by 111.1 to get 6.2, the number of cubic yards needed to cover the area with topsoil layer only 2 inches deep.